Click the button below to add the 2016 Orbea Rallon X-Team Bike to your wish list. Want a little something extra to stick it to your friends and go a bit farther without calling too much attention to yourself? That’s what Orbea did, and what the X is for, in redesigning the Rallon X. Named for a Spanish national park, it’s an enduro bike that excels in that arena, while going a good bit beyond. Pronounced “RAY-on” in Castilian, “RALL-on” in English, it is a technical gravity-advantaged bike that can dabble in downhill and bike parks. It’s not just the 160mm of suspension and 180mm rotors, it’s full-on enduro, with a geometry maximized for the task. Orbea achieved this many different ways. The big one is by lengthening the top tube by 11mm, providing 5mm longer reach, heightening the head tube by 10mm so you don’t need stack spacers under the stem. They also by dropped the bottom bracket by seven millimeters and slackened the head angle by .5-degrees. And they maintain the two-position shock mount, which takes a minute or two to adjust on the trail. You can drop the bb further and relax the head tube even more while making the seat tube a half a degree more shallow. 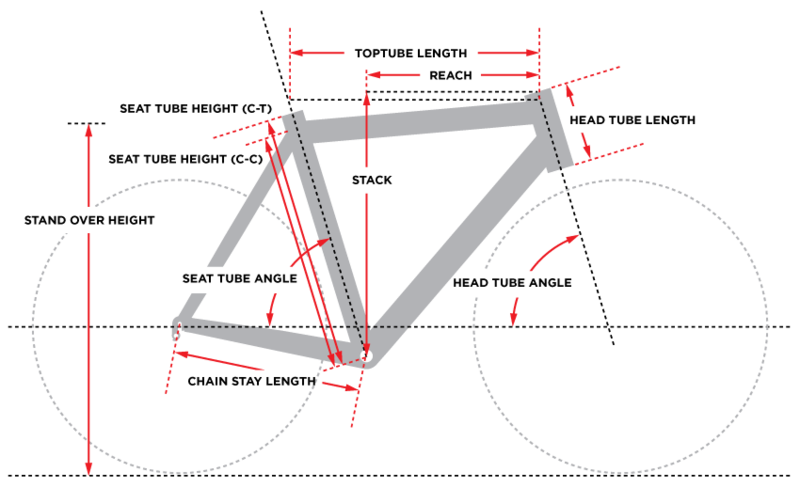 Think of it this way, compared to the “low” position on the old Rallon, the “high” position on the new Rallon X shares the same bottom bracket height and a slacker head tube. And the chainstays are short, 420mm, tucking the wheel close to your center of gravity for greater agility. They also helped the bike by embracing the Boost Standard. The rear end now has a 148x12mm thru-axle rear hub, which improves mud clearance and lateral rigidity while maintaining the old Q-factor. It also pivots on it, for simplified (lighter, fewer parts, less to go wrong) assembly. The fork now has an 110x15mm thru-axle, adding more rigidity there as well. In between the wheels, the frame has been improved. Weight is only 3.15kg for a medium frame, including shock. While the alloy tubes are extensively shaped and carefully welded, the focus was on making it as simple and stiff as possible so tuning the shock is all you need to think of in terms of ride. The suspension has been further tuned. It’s more of a linear curve that gets progressive at the extreme end. This allows for great sensitivity at the start of the travel and then resists bottoming out at the end. Likewise, the high pivot point eliminates any chance for the system to squat while pedaling. And they worked with Fox on a custom damper to best compliment the suspension design. Thinking of ride, they included routing for a dropper post. A RockShox Reverb comes with the X-Team and X10. It follows the Downtube Cable Highway system they designed for ease of service and design. 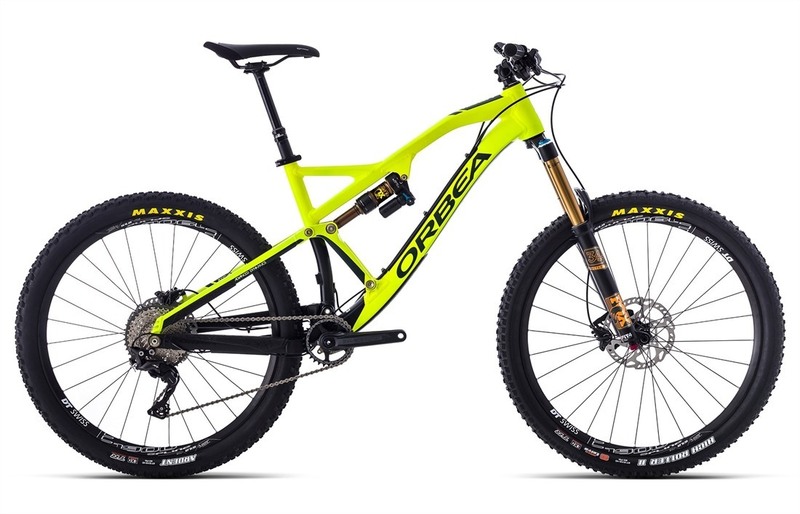 The other bikes come with Orbea’s Digit seatpost, which has rider-tuned high- and low-limits mated with a quick-release to give you flexibility on the trail. Thinking of durability they built on a removable ISCG 05 chain guide. Ride with it, without it, or choose your own. There’s a direct mount for a front derailleur, and you can choose between 1x and 2x shifting. Likewise there’s a dual-compound chainstay protector that both armors the bike and reduces the noise of chain slap. The cables are routed on the exterior of the frame, on what they call the 4x Cable Highway, to allow you to easily change your cabling. The Rallon is what enduro is. Headset FSA Orbit ZS, 1 1/2"
Tires Maxxis Ardent (f) 27.5x2.4", Maxxis High Roller II (r) 27.5x2.40"